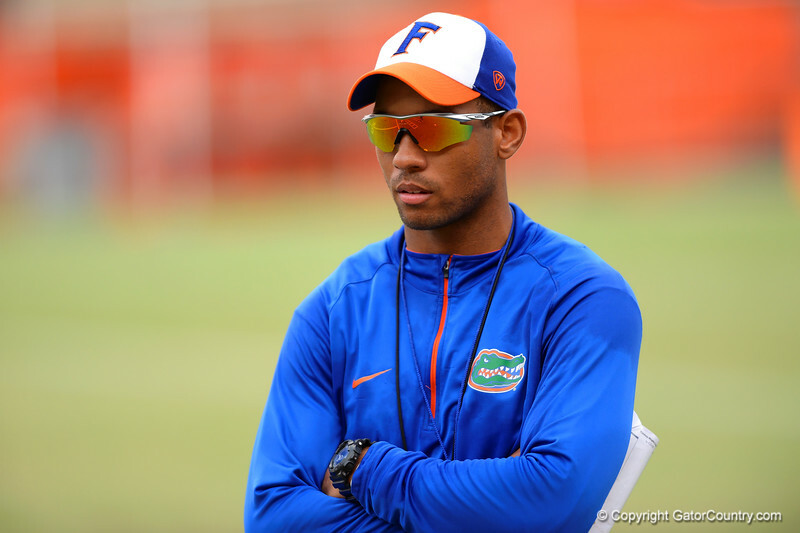 Florida Gator coach Chris Leak looks on as the recruits run the drills.2014 Friday Night Lights. July 25th, 2014. Gator Country photo by David Bowie.